If you love tent camping but want something with a few more amenities, a pop up camper is a great option. It’s also a great option if you want a towable, but you don’t want to upgrade to a truck, or if you simply want to go RVing but have a very tight budget. Pop up campers are the most affordable RVs you’re ever going to find, and they offer a lot for the money. If you’re looking for an upgrade from a tent or just want to get a good beginner RV, a pop up is a smart way to go. Here are some advantages of the design. Of all the RVs out there, the pop up is by far the most affordable option. Brand new models can be found at affordable prices with plenty of incentives and low monthly prices. The used market is an excellent option, too. You can often find a used pop up in good condition for well under $10,000 if you don’t mind going with a camper with minimal features. The simplicity of a pop up camper is part of what keeps it so low cost, but that doesn’t mean you have to go without amenities. Most pop ups feature a nice kitchen area with a sink, two queen beds, and a dinette at the minimum. Some have a wet bath as well. The scope of features really depends on the size of the unit and what the manufacturer can fit within the floorplan. Obviously, units with larger floorplans and more features and amenities will demand a higher price. 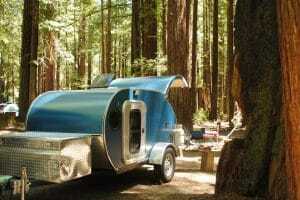 The design of the pop up camper dictates it has a light overall weight. Most are under 3,000 lbs and many are under 2,500 lbs. This means the vehicle sitting in your garage right now can likely tow a pop up if it has a hitch. You don’t need a huge and expensive tow vehicle. One of the downsides of a fifth-wheel and sometimes a travel trailer depending on the size of it is its weight. Depending on the RV you might have to have a full-size truck or heavy-duty truck to tow it. However, with a pop up camper, your regular family SUV, minivan, midsize truck, or crossover utility vehicle will likely be enough to get the job done. Another plus to the pop up camper is that it’s small and maneuverable. Especially when folded away and ready to be towed to the next location. 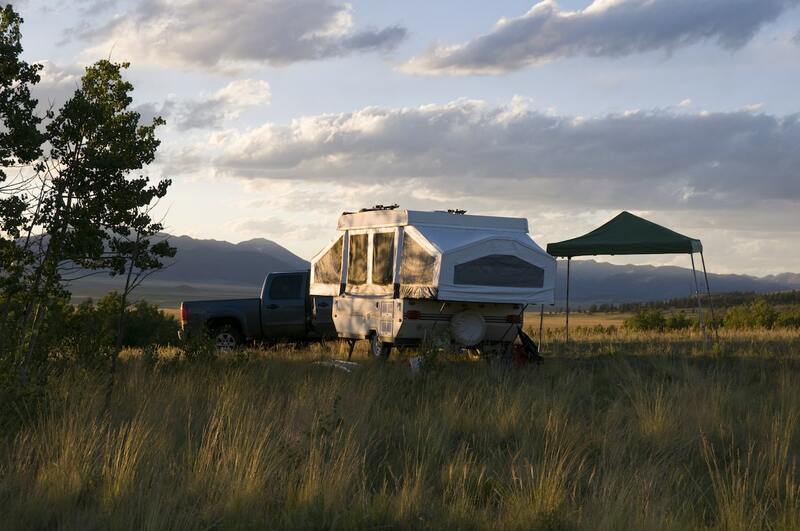 Pop up campers can often fit in smaller campsites that other RVs can’t. This opens up more opportunities for adventuring to new locations. It also makes maneuvering on the road easy. Because the camper folds down and doesn’t totally obstruct your rear vision when driving, many people feel more comfortable towing a pop up over a larger camper like a fifth-wheel or a travel trailer. These are just a few of the advantages of a pop up camper. 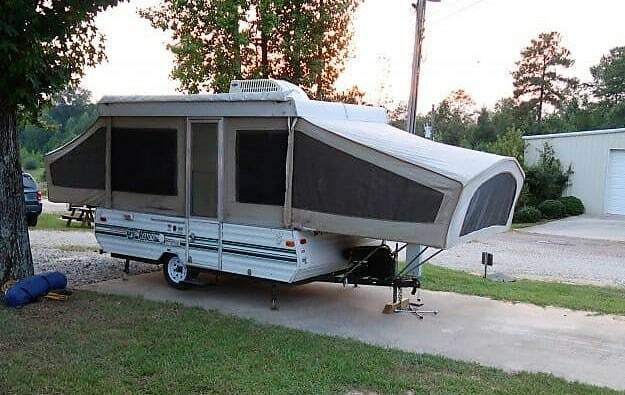 While you don’t get all of the privacy and comforts that come with other RV types, it’s important not to discount this small and affordable option. Have you ever owned a pop up camper? If so, what did you think? Leave a comment below!